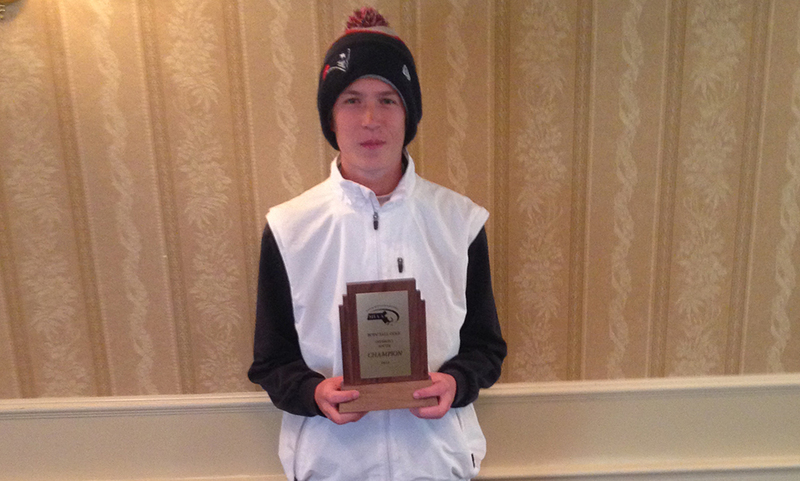 The MIAA Division 2 Golf South Sectional was held at Easton Country Club on Monday. Below are the submitted results for Hockomock teams. Oliver Ames qualified for the Division 2 State Finals next Monday in Georgetown, Mass. at Black Swan Country Club. Foxboro, 1 @ Oliver Ames, 0 – Final – Foxboro’s Emma Daly scored the lone goal of the game, netting the game-winner in the second half for the Warriors. Stoughton, 0 @ Franklin, 3 – Final – Kayla Marshall scored 10 minutes into first half on a pass from Annie Walsh and Brayden Downing with 10 minutes left in first half on another pass from Walsh to make it 2-0 at the break. Freshman Maeve Ledwith got her first career goal with 12 minutes left in the game on a pass from Erin Walsh. Christina Lucini and Sam Hertzberg combined for the shutout each making one save. 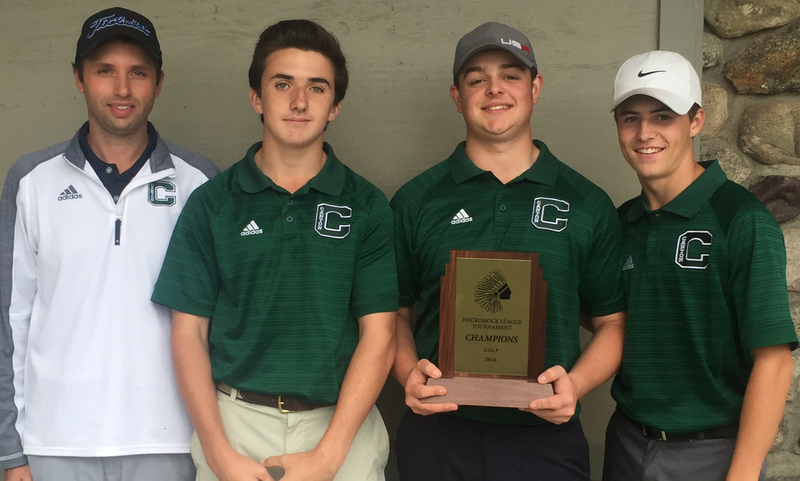 Sharon, 168 @ North Attleboro, 155 – Final – Robbie Congdon led the Rocketeers, who clinched at least a share of the Davenport division title with the win, with a low round of 34. Dylan Kane shot a 39, David Colasanti shot a 40 and Jillian Barend carded a round of 42 for Big Red. Sharon’s Max Avratin shot a 38. Attleboro, 159 @ Oliver Ames, 143 – Final – Brady Allbritton and Ryan McGarry shared match medalist honors, both carding a low-round of 35. Mark Bissonette shot a 36 and OA and Nick Lombardi shot a 37. Attleboro had one of its best performances in recent seasons with Kyle DelSignore shooting a 38, Corey McKenna carding a round of 39, Ethan Johnson shooting a 40 and Brian Houle carding a round of 42. King Philip, 179 @ Taunton, 189 – Final – Jack Citarell led King Philip, carding a team-low round of 42 while Sebastian Ladoulis added a 44. 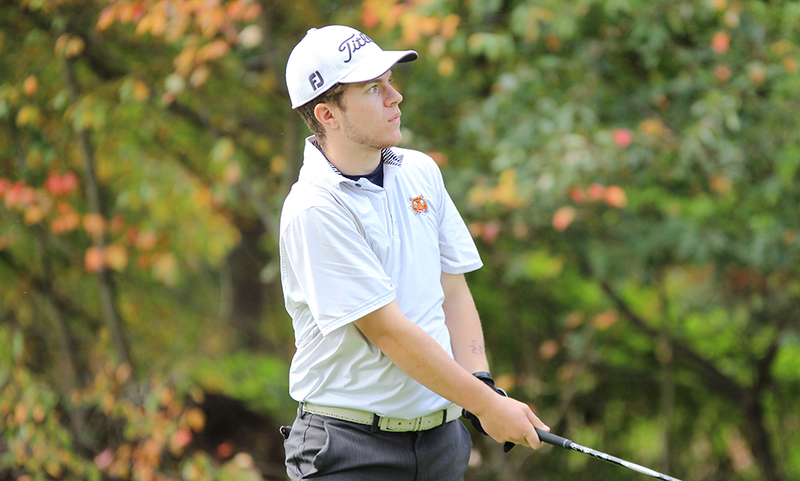 Mike Volkmann shot a 42 to lead the Tigers. Milford, 171 vs. Nipmuc, 172 – Final – Milford’s Ryan Tomaso was the match medalist, shooting a 38 to help the Scarlet Hawks edge Nipmuc. King Philip, 43 @ Mansfield, 18 – Final – Nick Rispoli (17:18), Kalin Petrov (17:18) and Patrick Heavey (17:22) finished 1-2-3 for the Hornets to help earn the win. Collin Rice finished in 17:52 to grab fifth overall for Mansfield. King Philip’s Mike Griffin was fourth overall in 17:22 and Jack Angelo came across sixth in 17:53. Taunton, 39 @ Oliver Ames, 20 – Final – Taunton’s Dylan Lynch won the race but Oliver Ames had the next five finishes in Brent Schwartz, Zane Reservitz, Colin Herschlag, Jake Romaine and Alex Foote to win the race. Attleboro, 48 @ Franklin, 15 – Final – Franklin had the top five finishes in the race, led by junior Nicole Clermont. Clermont won the race in 21:41 while classmates Kate Hartnett and Ella Gutkowski came in second and third in 21:42. Sophomore Katrina Walbert was fourth in 21:55 and junior Brianna Cummings crossed the finish line in 21:57 for fifth overall. King Philip, 22 @ Mansfield, 33 – Final– King Philip’s Erin Quinn won her third straight dual meet, coming across the finish line at 20:57. Erica Layne, Lucy Hamilton, Leia Quinn and Bri Aubin finished third, fourth, sixth and eighth overall respectively. Mansfield’s Lauren Duggan was second overall while Margaret Riley was fifth and Sarah Doyle finished seventh overall. Taunton, 43 @ Oliver Ames, 19 – Final – Oliver Ames’ Liz Peckham won the race while Taunton’s Amanda Baptiste finished second. OA followed up with Caroline McCarthy (3rd), Jordan Rainville (4th), Anna Loewald (5th) and Kaleigh Walsh (6th) to get the win.